The RIC Centre is a proud sponsor of Brampton Outstanding Business Achievement Awards (BOBAA) which publicly recognizes and honours local businesses that have demonstrated a passion for excellence. Recipients are selected from six categories: Advanced Manufacturing, Food and Beverage, Information and Communication Technology, Retail Administration and Logistics, Business Services and Emerging and Small Business. 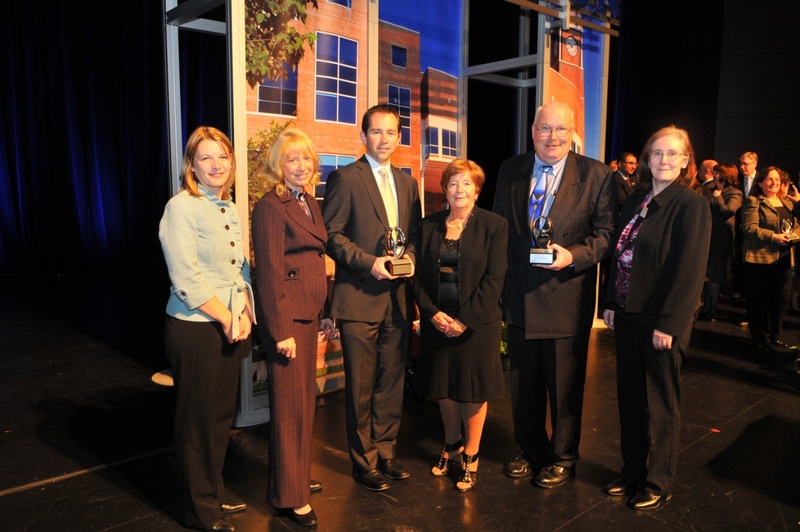 Since 1997, nearly 100 Brampton businesses have been recipients of this prestigious award. Recently, Glen Way, Associate Director, Wealth Management at the Sharpe–Way Group reflected on how receiving the 2011 Award of Distinction for Community Contribution benefited the company. “Being recognized as a leader in your industry is a great honour. It was wonderful to celebrate our Awards with other successful local businesses, community leaders and especially with our clients. Along with the exposure of the evening and the event being covered by the local media, we have proudly used the video introductions created for the Awards on our website. We shared our involvement with our team and clients so the benefit was shared internally and externally. The notoriety of being nominated and sharing an evening with other “success stories” was a great experience on its own however, as a business with excess capacity and an interest in growing, the recognition in receiving a BOBBA for both our Service and Community involvement was more than we could have asked for.” Glen Way, Associate Director, Wealth Management, the Sharpe-Way Group. To purchase tickets for the prestigious Brampton Outstanding Business Achievement Awards, please click here.